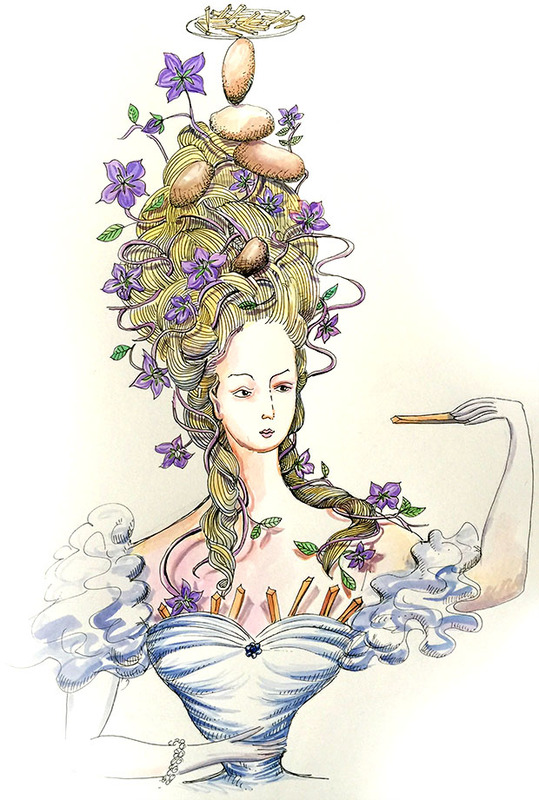 Very excited to be doing a new commission for the Metropolitan Opera. 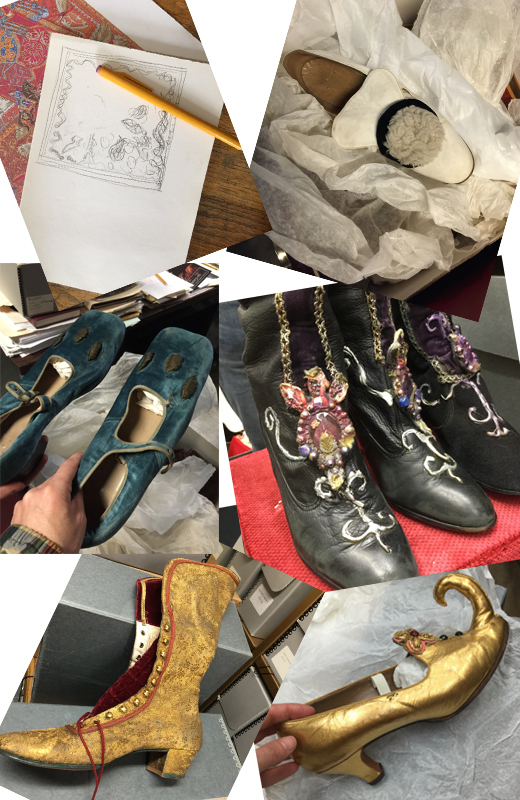 I went into the archives under the stage and photographed about a hundred shoes from productions like Othello, Carmen, Magic Flute and the Ghosts of Versailles. 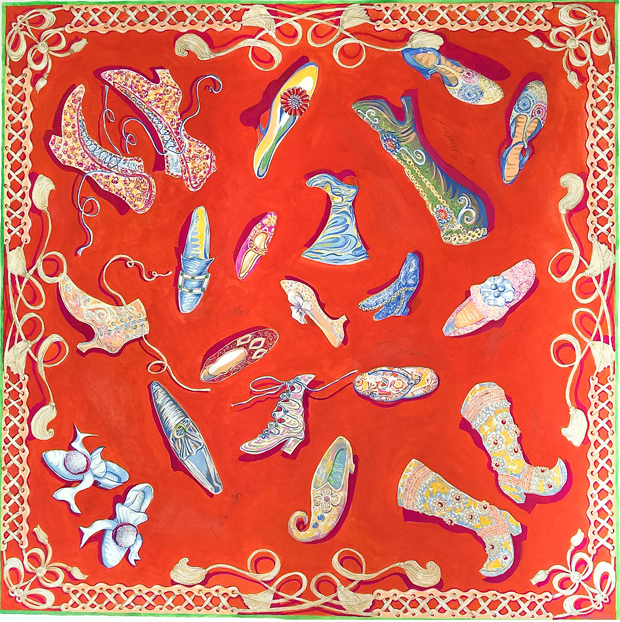 So I'm creating a fanciful 'Shoes of the Opera' scarf! 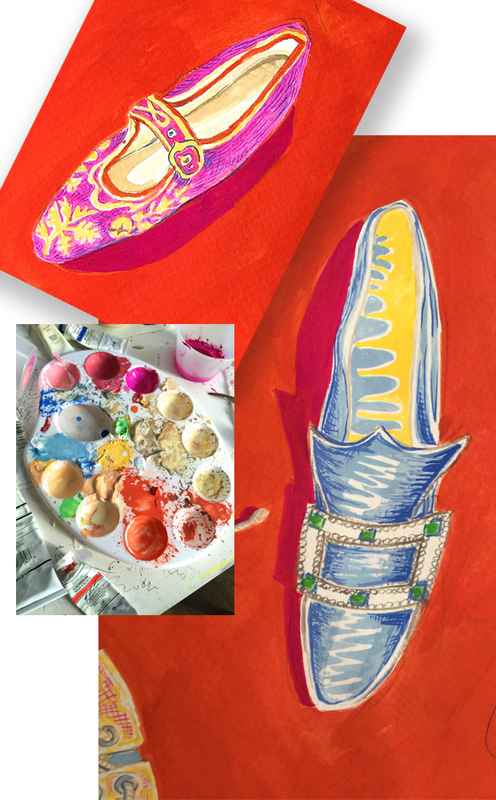 Will keep you posted when its finished, the whole process of designing, coloring, silk screening, sampling and sewing takes a long time ... Each scarf is lovingly made... Here’s a tiny selection of what's under the stage along with my first thumbnail sketch. 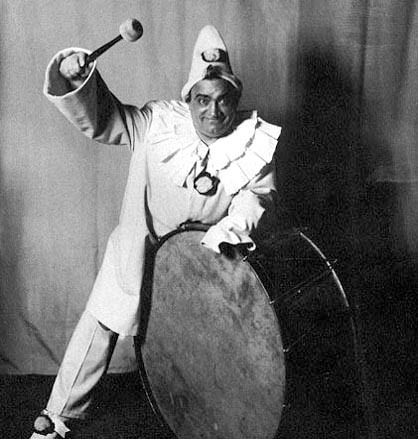 Do you recognize Caruso’s shoe from Pagliacci, one of his signature roles… It fits me, I love it! 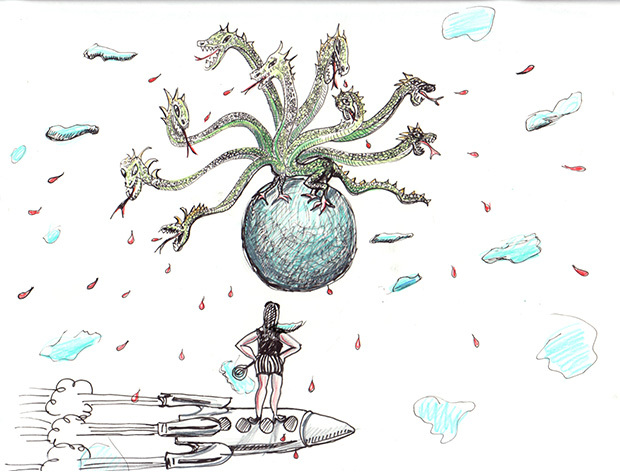 Trip to Pluto from nadia roden on Vimeo. Come see whats up in the sky and taste a bit of it too! 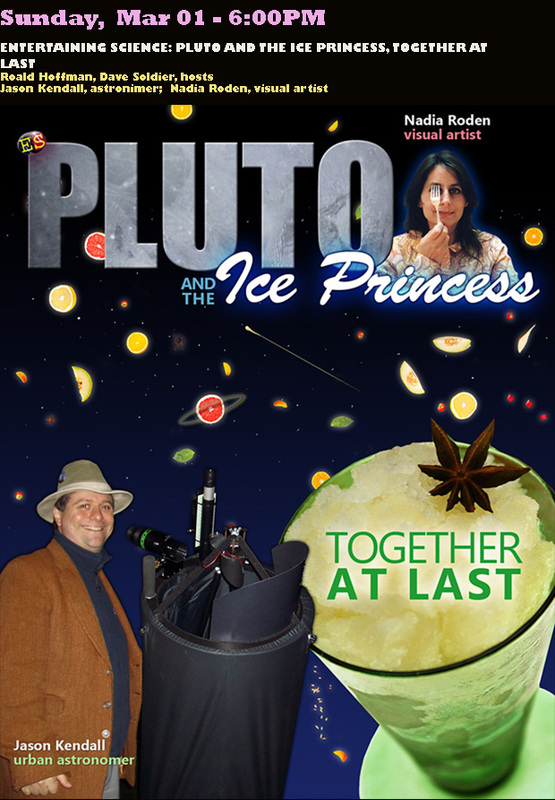 Pluto and the Ice Princess - together at last! Jason Kendall is an urban astronomer who’s held star parties in the Bronx where tattooed gang members, homeless men in plastic bags and fur-wearing women walking Afghan hounds, all stood next to each other and looked at Saturn in a telescope. He’s shamed NYC Parks into turning off park lights for the International Year of Astronomy, and recently started a stint on a Weather Channel show, telling viewers what to see in the sky. When he’s not taking his 15” Obsession telescope into the wilds of Inwood Hill Park, he stealth-teaches astronomy at William Paterson University to mostly-unsuspecting undergraduates. Tonight Pluto is his beat, and he teams up with Nadia Roden, a visual artist who crosses the realm into ice wizardry. She has published two award winning books on the subject of shaved ice and creative ice pops and has taken her polka dot Ice mobile cart onto the Highline where she has enchanted people with her imaginative flavors. Oprah Magazine named her the ‘Ice Princess’. 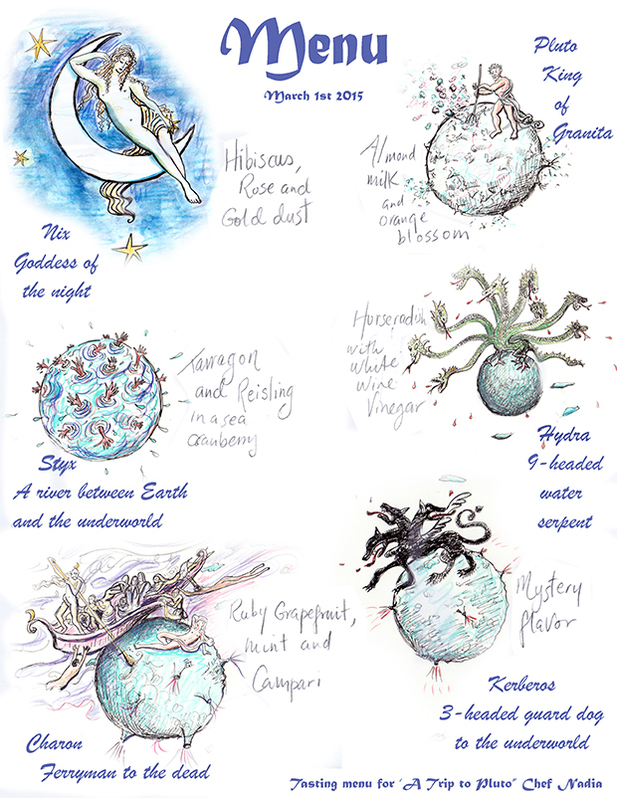 Tonight Nadia will share her creative process and then take a trip to Pluto and its 5 moons. Be prepared to have your taste buds frozen in delight as the voyage returns to earth bringing flavors from that remote cold space directly to your table at Cornelia Street cafe’s basement. 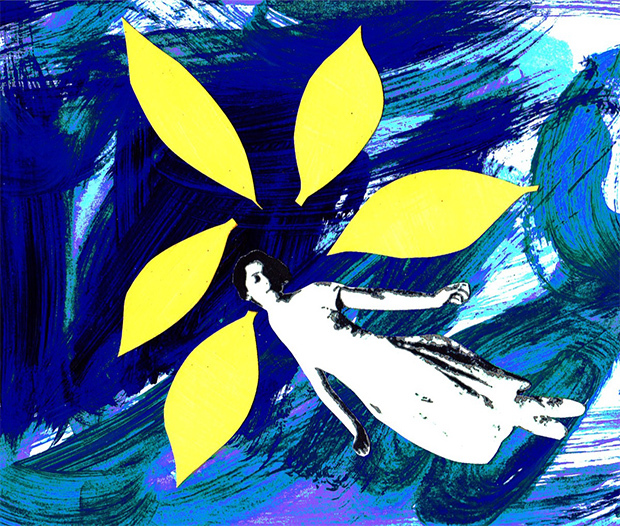 from me to you from nadia roden on Vimeo.